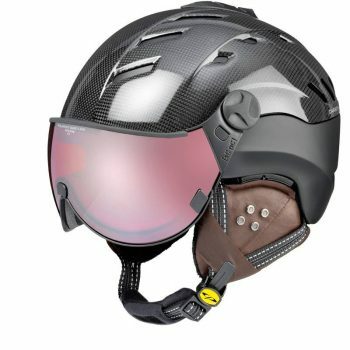 The CARACHILLO MAIZE is the newest visor helmet from the legendary Swiss maker of visor ski helmets C.P. 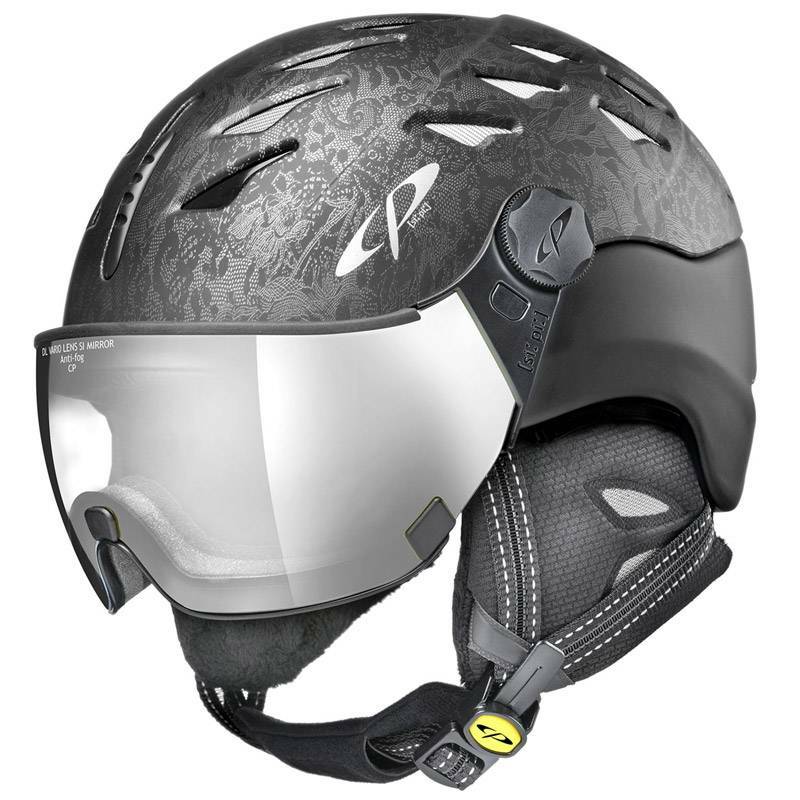 The ski sports has taken the next evolution of their visor ski helmets and improved both performance and appearance. 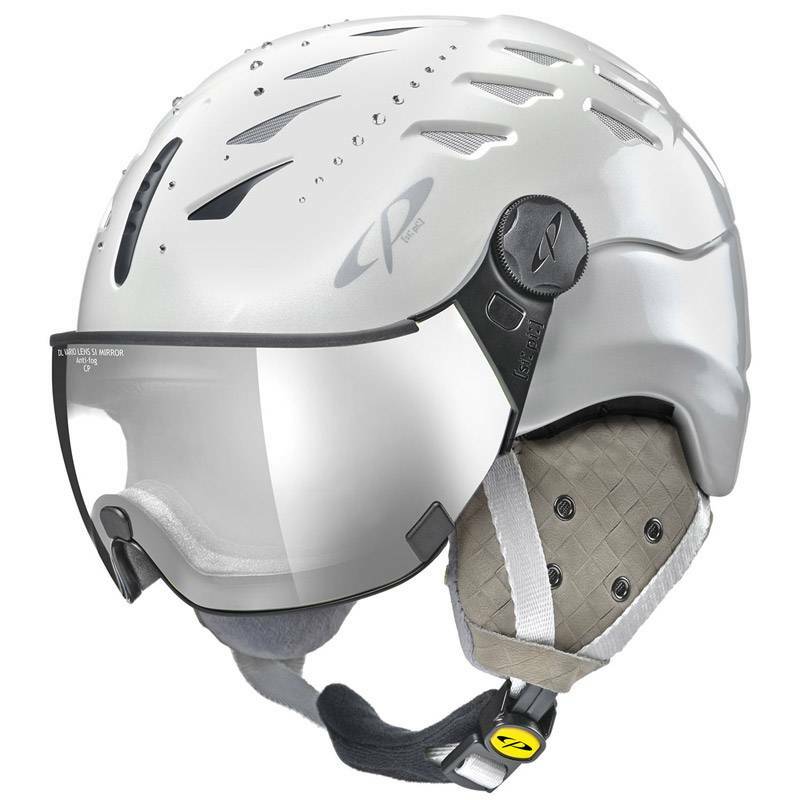 The new CP Carachillo helmet comes with 6 air vents, the refined Size Adapting System that lets you dial in the fit while wearing the helmet or when not. 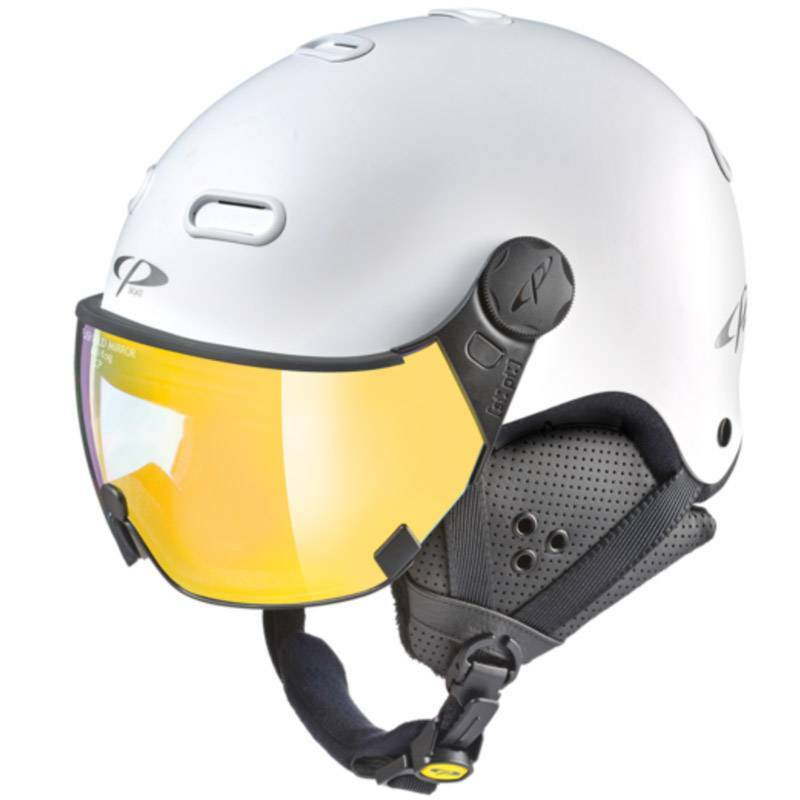 With a new visor that has been specially developed for this model CP has improved even further on its industry leading field of vision. 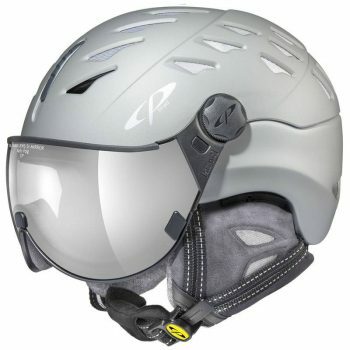 With a clean modern design and an even greater field of vision this is the new undisputed leader in the visor ski helmet industry. We carry the Carachillo Maize model visor ski helmet in Maize or Yellow with 2 visor options. 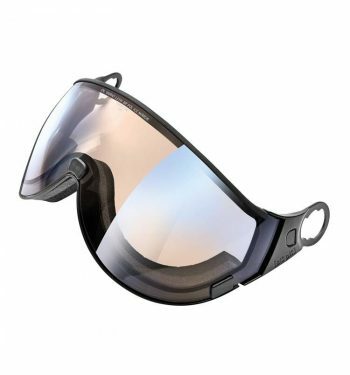 The DL Vario MC Mirror lens is a variable all-weather lens the works well with a variety of weather conditions. The Vario lens has an anti-fog coating and excels at preventing the formation of condensation. CP‘s self tanning visor effectively supports your eyes in changing light conditions and in doing so reduces eye strain. 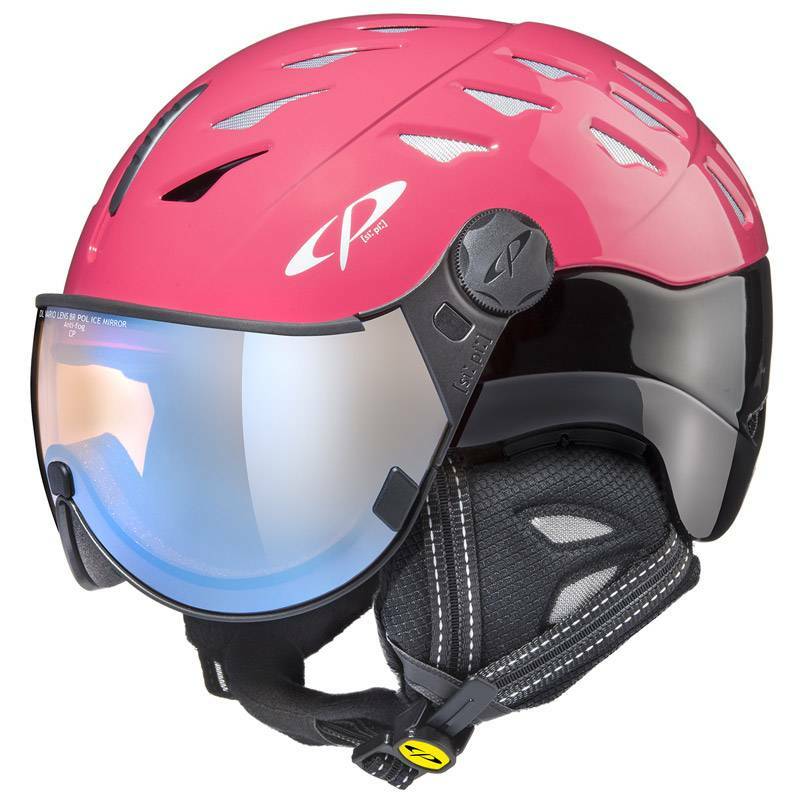 100% UV protection is achieved in this quality ski visor. The Flash Gold Mirror lens is ideal for enhancing fair weather conditions with a lens that has an exceptional filter. 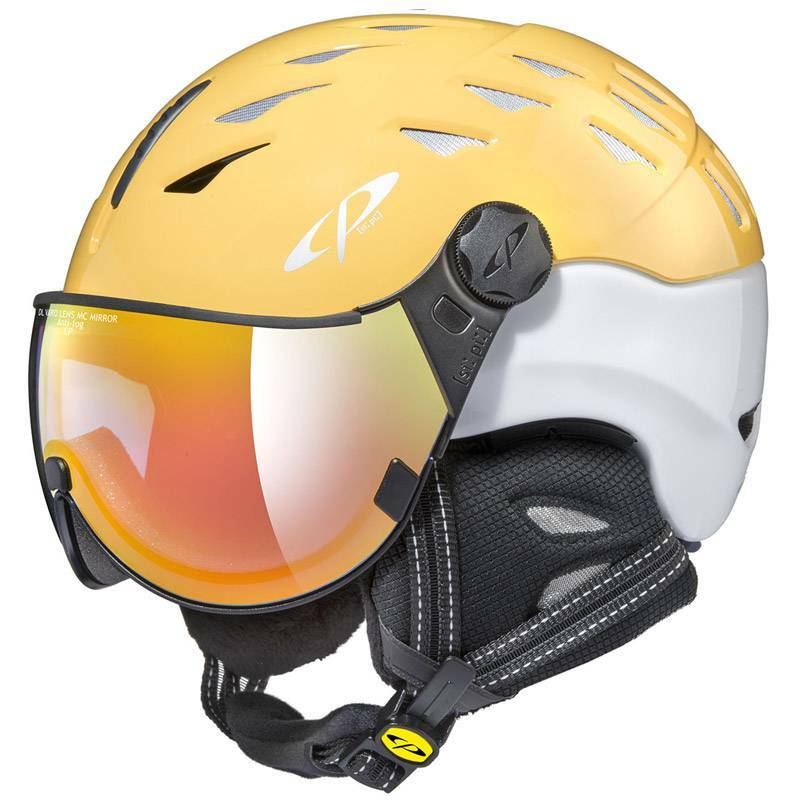 With increased glare protection from snow reflection and 100 % UV protection this is a great sunny day visor. 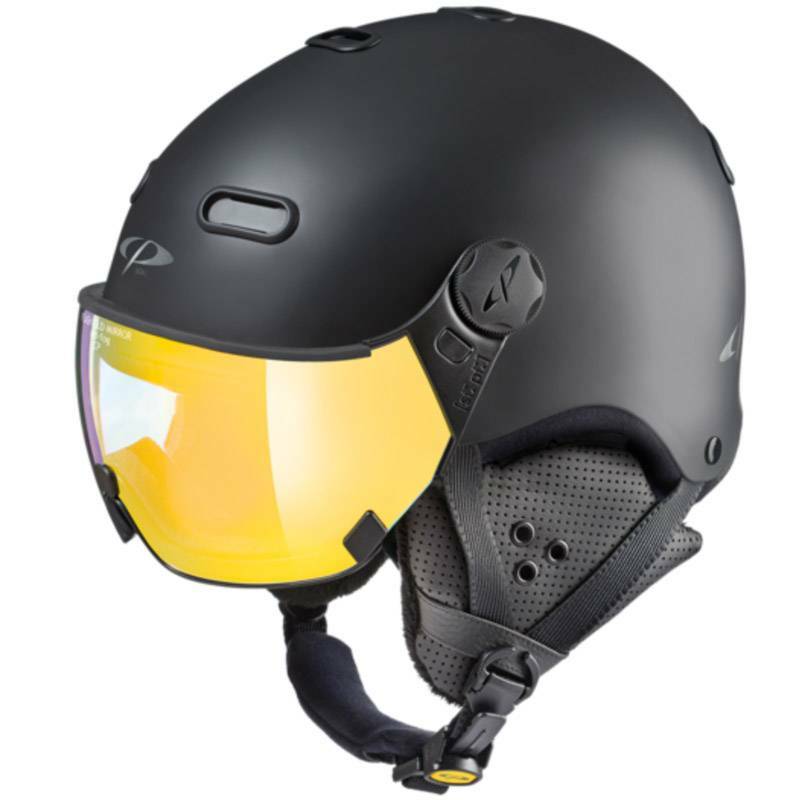 The Flash also has the Anti-fog coating to prevent condensation. 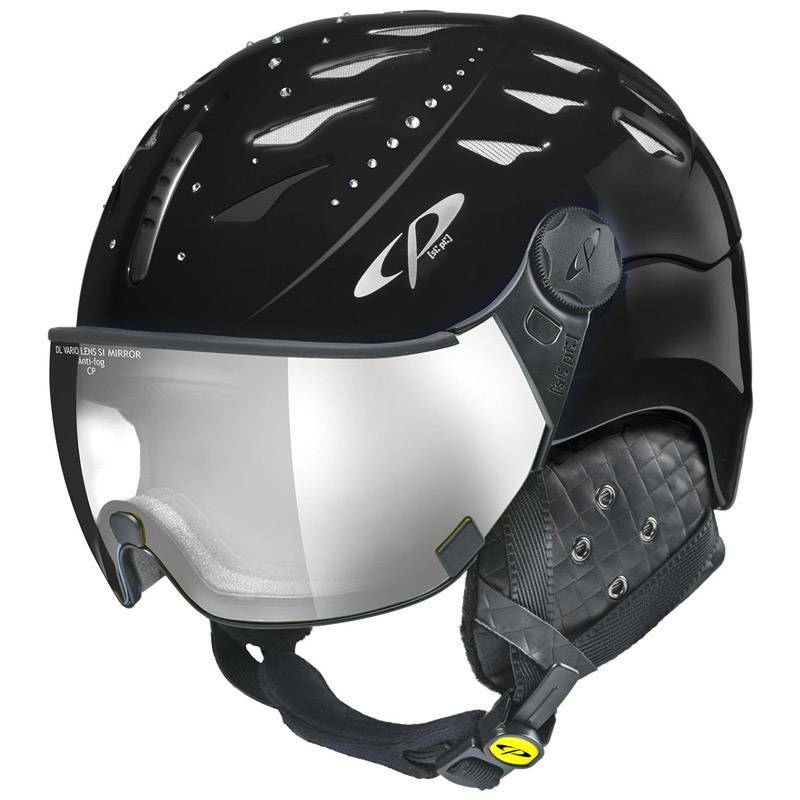 The visor is ideal for skiing in varied weather conditions on glaciers and in high mountains. 100% UV protection is retained. Natually the visor can easily be exchanged with out any tools. CP is the only visor helmet brand that offers an extensivecollection of visors. 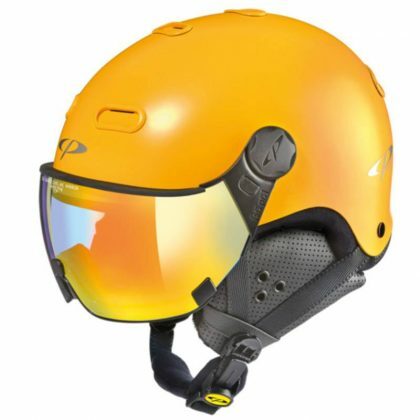 The different variations are: single lens visors in orange, clear with and without mirror, polarized clear vision, and DL visors vario or photochromatic in different color versions and with polarization.